iMakeUpMe is more than makeup. 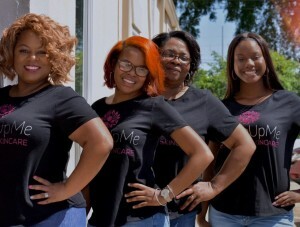 Home of the only black owned spa in Tuscaloosa, Alabama and some of the best professional makeup artists and estheticians in the south, iMakeUpMe bridges the gap between the modern-day woman and her ability to feel bold, confident, and beautiful. It is our mission to provide women with the knowledge and skills to create an image based on their authentic self. Success comes when a woman looks in the mirror and says, “I am beautiful” and truly believes it.